I’m going to start this post with a little disclaimer… I get that there are many purists out there who aren’t fans of the shortcode or plugins that create more shortcodes. They weigh the site down, you can do the same thing with code, blah, blah, blah. This post isn’t for you. The shortcode was created for us on-coders. There’s more to it than that, but you get my point. But the reality is not everyone knows how to do things in code and not everyone WANTS to do things with code. That’s not their “thing”. They use WordPress for their business and just want to go about doing their “thing”… not learning something that isn’t part of what they do day-to-day, or in the long run help’s them with their business (of course I’m not suggesting you install everything under the sun because you can. You still need to be smart about what you add to your site). One the most amazing things about WordPress is the ability to extend its functionality with all the hundreds of thousands of plugins that are available, both free and premium. The thing with plugins though is that they really should serve a purpose. You don’t want to install plugins just because they do something cool (I won’t get into the whole slider discussion here, suffice it to say I’m not a fan). I absolutely love plugins (and web apps… I think it might be bordering on a bit of a problem), but I like traffic, leads, and sales more. Site speed matters and plugins slow down your site. So I’ve gotten much more selective with the plugins I use. O.K., enough of that. Let’s dive into what a shortcode is and why I love the Shortcodes Ultimate plugin (free in the repository). You may be more familiar with shortcodes than you think you are. Many plugins (and themes, like Genesis), come with built-in shortcodes. As an example, if you use Gravity Forms on your site when you click the little ‘Add Form’ icon above your WYSIWYG editor it inserts a shortcode for your selected form to insert it into the page. I’ve tried a boatload of shortcode plugins, both paid and free, and am happy to say that my absolute FAVORITE shortcode plugin is the Shortcodes Utlimate, which is a FREE plugin in the WordPress Plugin repository. I like this plugin so much I left a review in the repository (something I’m going to be doing much more of this year… easiest way to say thank you to the developers who give us awesome plugins like this… for FREE!). In case you’re wondering how or why this awesome plugin is FREE, it’s because Vladimir (the brilliant developer who created this) is offering premium add-ons. Brilliant. As a user, I love this model for plugins. As someone who has dabbled in plugin development (having them developed, not developing them myself) it causes me a bit of angst. Angst because I know what is required with plugin support, documentation and the constant flow of questions. Of course, if you’re the one who developed the plugin I would suspect that it’s easier to know off the top of your head how to handle many of those issues. O.K., let’s go ahead and jump into the video. Newsletters are spam enough, but all these popups for asking people to sign up for newsletter are very intrusive, always. And this is the most intrusive version of that I have seen yet. Thanks for the feedback. I have to change out the video player as it’s not supported anymore anyways, but I agree. It was something I was testing. Unfortunately as much as popups are annoying, they work. I do agree that there is a better way to test and use all these tools. 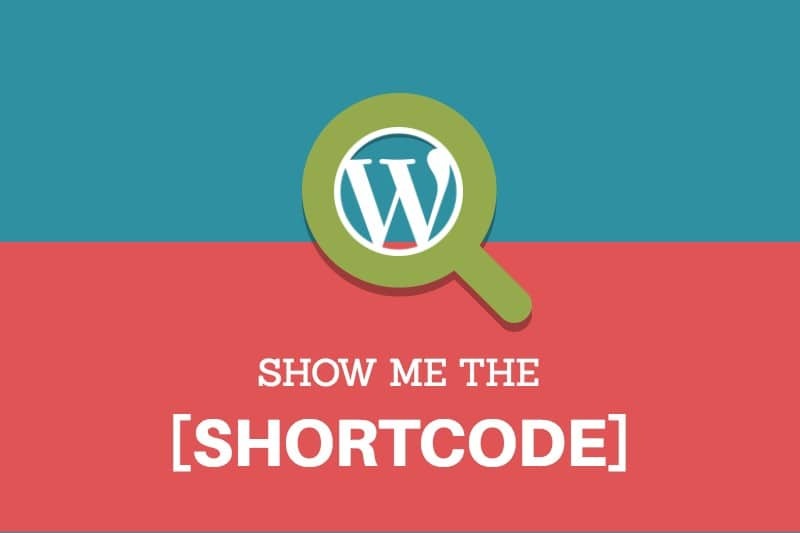 Saw your video in a link from the Ultimate Shortcodes Plugin Directory Page… I had to come to your blog and thank you personally for making such a great informative video. I love how easy it was to follow. I loved how you showed a few examples, I also loved how you articulated your way through it. I also agree that he is a smart cookie for making such beautiful add-ons. Thank you for your help! Now I’m off to install the plugin and play around with my blog! Yaaaas! Great Tracy, I’m glad it helped! I use this plugin on every site I work on (my sites & my client sites). I’m new at this, and am having trouble finding how to view your video. Can you please send me the link or direct me to where it is? I don’t see it on your show-shortcode page. Sorry about that! I had to deactivate a video player plugin (it’s no longer being supported) and hadn’t put the YouTube video in!